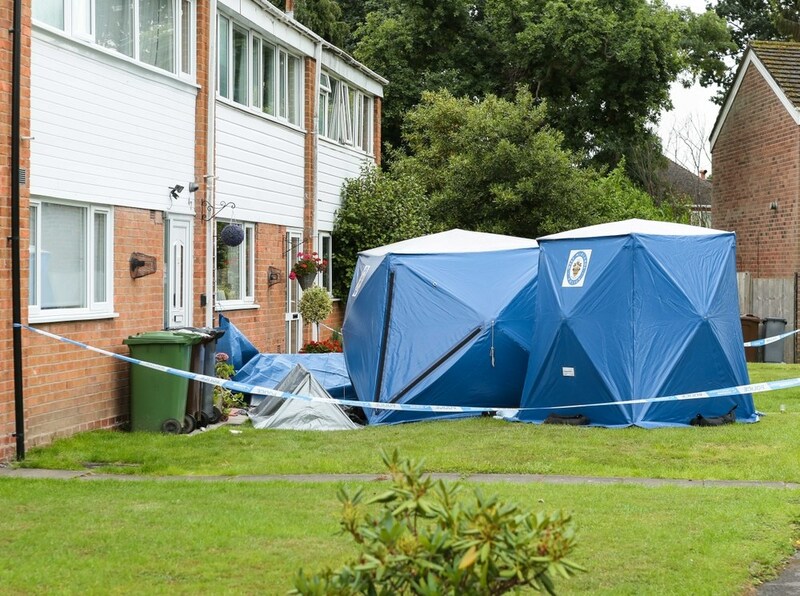 Screams had woken neighbours in a residential Solihull street where a mother and daughter were stabbed to death. Neighbours have told how they heard noise outside during the early-hours attack and one woman said she saw a man leaving the scene in a van. West Midlands Police are directly trying to arrest a male suspect who is believed to have been known to the victims. The women, aged 49 and 22, were pronounced dead at the scene in Northdown Road on Monday. Detective Inspector Caroline Corfield of West Midlands Police appealed to the suspect to come forward. She said: “We are still in the very early stages of our investigation but we believe the offender is known to the victims. She described the deaths as “truly devastating and heart-breaking”. One woman living nearby said: “I thought it was foxes screaming. She (one of the victims) was absolutely screaming her head off. He wasn’t speaking English, that’s for sure. He shouted something and then ran off. The neighbour, who said she was “stunned” by what had happened, said she did not know the victims, adding that “they kept themselves to themselves”. Another neighbour said he was woken at around 12.30am by screaming but presumed it was just people coming home from a night out. The father-of-two, who also declined to give his name, said: “Then police knocked on my door and asked for some towels, so I knew at that point it was serious. Forensics tents were raised on the front lawn of a property which was cordoned off by police tape in the road on Monday morning. Police said house-to-house inquiries are being carried out. CCTV footage is being examined, the force said, adding that there will be a visible police presence in the area in the coming days. Next articleThe Midland Retail Forum is back for it’s most anticipated Golden Quarter event. This year it will be hosted at Greater Birmingham Chamber of Commerce on 24th September 2018.